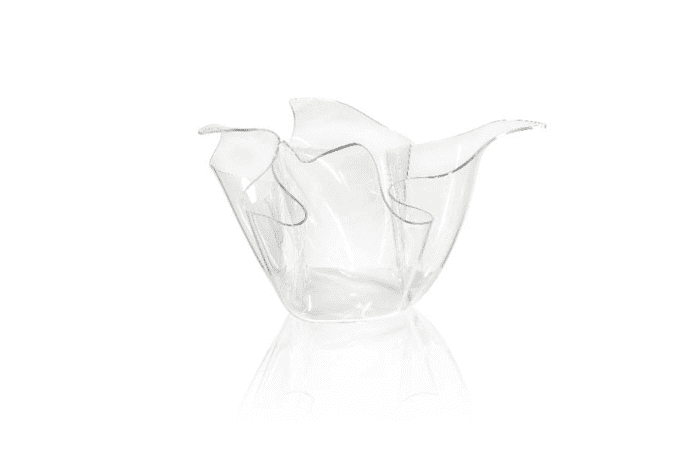 These days, plastic has been made totally acceptable as a material for home items. And its reputation as a bad material for the environment is being challanged by more sustainable options. 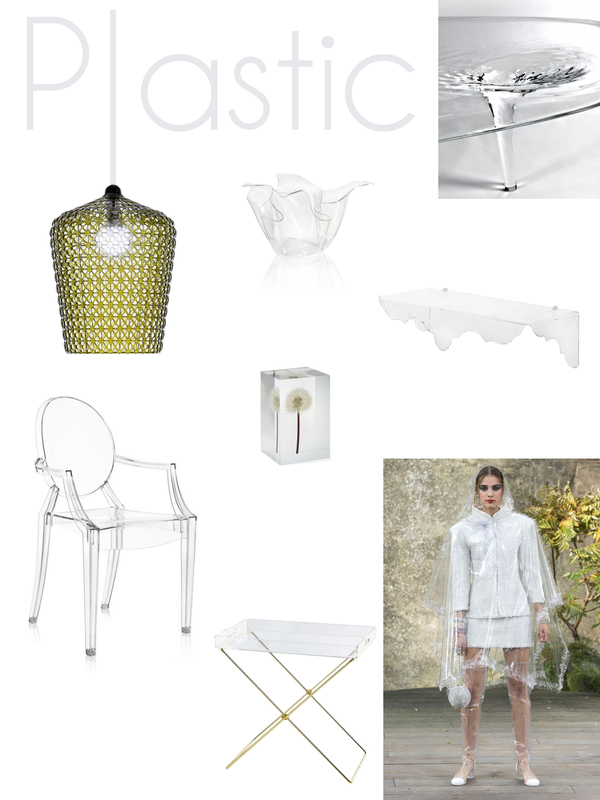 Here are some plastic inspirations for interior (and actually also exterior) spaces. Certain companies are even basing their whole product range on plastic. 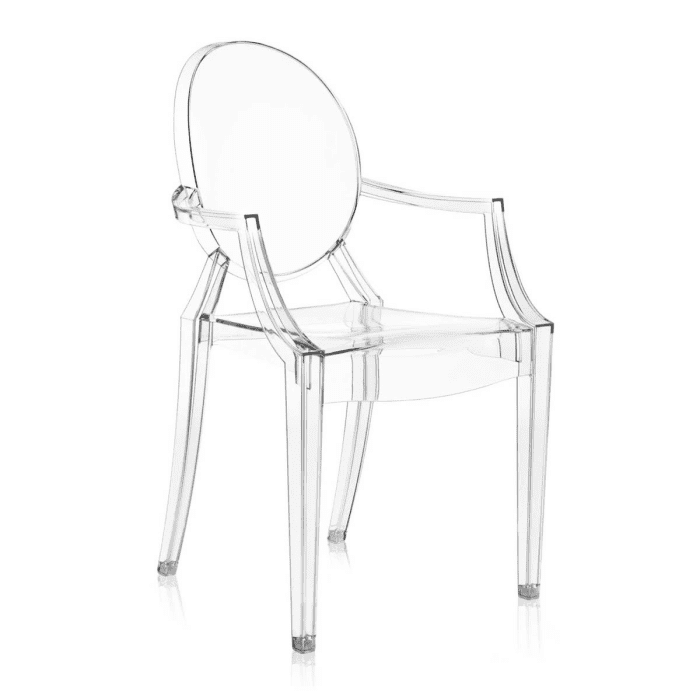 Probably the most famous is Kartell, which is producing many modern design icons out of plastic. 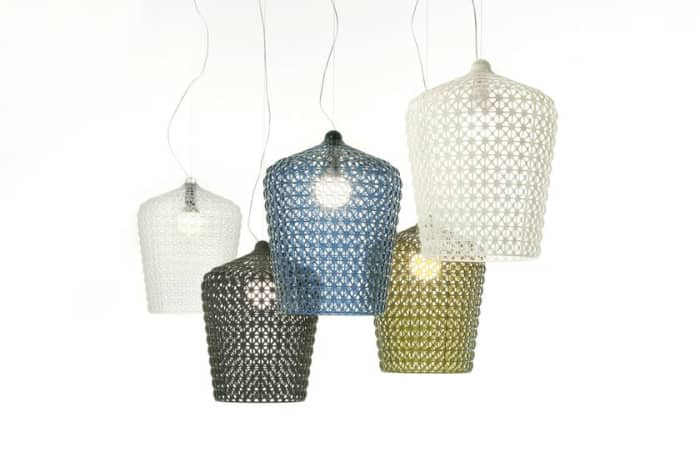 Their new lamp, Kabuki, has a stunning perforated surface that looks very sophisticated and could even be confused with crystal from far! 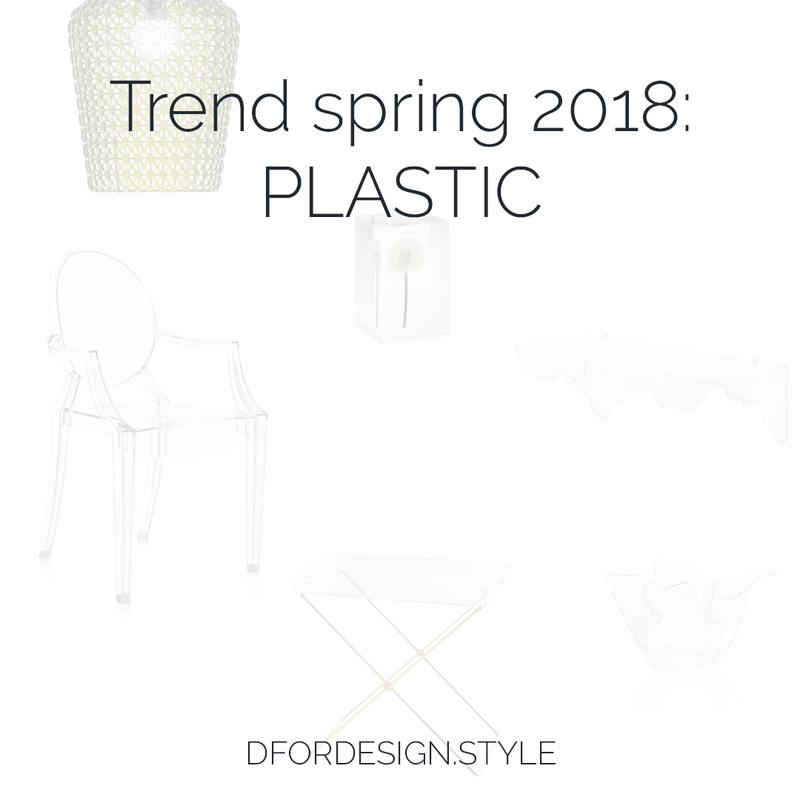 One of the most impressive looks that can be achieved with plastic is certainly the “invisible furniture” effect. Totally clear furniture and accessories provide lightness to the space and make a beautiful contrast with more massive items. 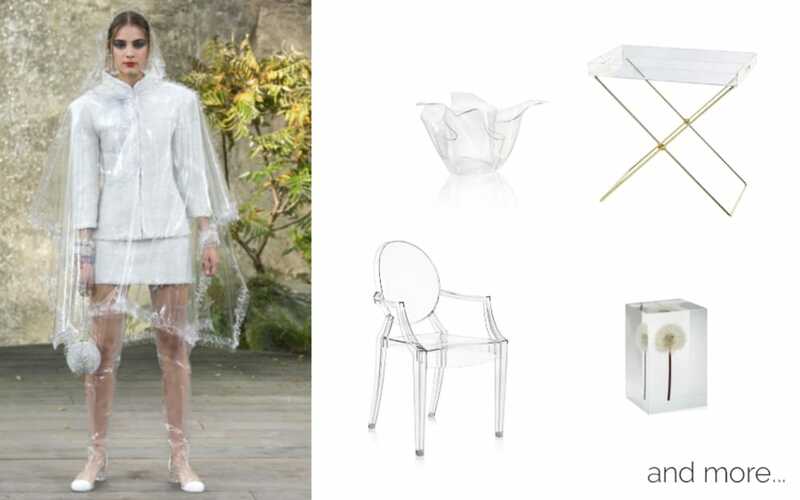 The Louis Ghost chair for example, would pair perfectly with a massive wood table, giving a modern twist to the ensemble. And on this clear plastic shelf by Iplex Design, books will seem to levitate in the air. Functionality meets plastic in this table-tray by Zara Home. 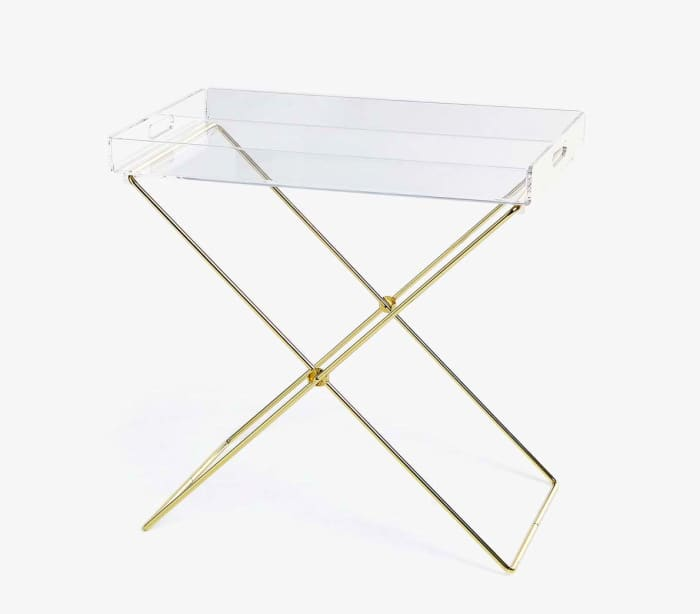 The golden legs are foldable so the tray can be used either alone or as a side table. But the applications of plastic that I like the most are those that – like a photography – freeze a moment that is evanescent in real life. ...and this sculpture! 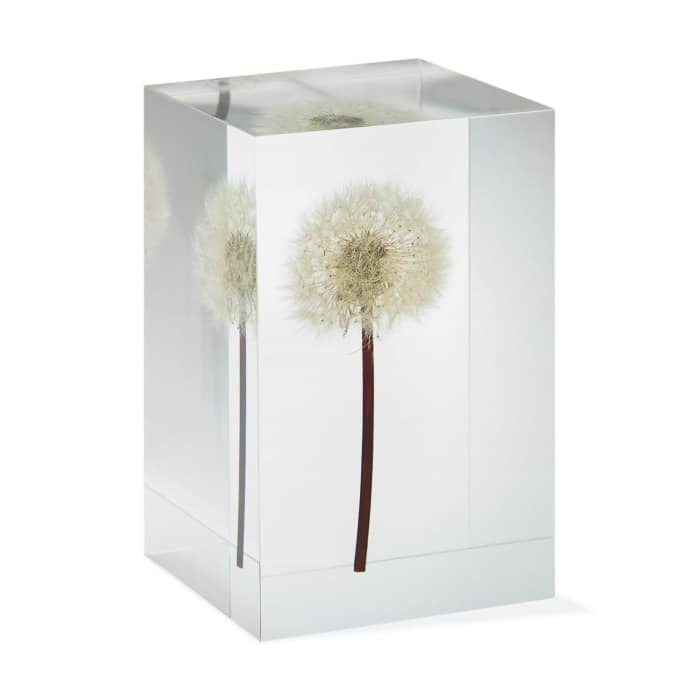 Inspired by Shiro Kuramata (whose works are part of MoMa’s collection) and designed by Takao Inoue, this dandelion sculpture has something poetic to it. Enclosing such a fragile flower, it seems to protect it from the wind and makes the moment it has been picked up last forever. 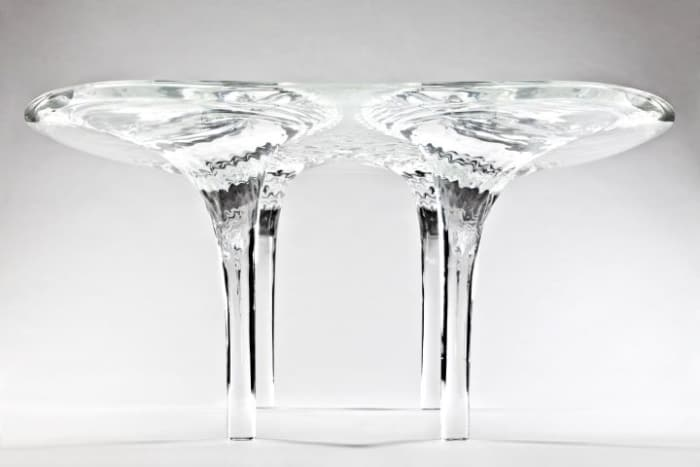 Not surprisingly named Liquid Glacial, this table designed by Zaha Hadid really seems made of water that flows down from the table top and freezes into the legs, just stunning! It’s with this poetic side of plastic that I want to close this article. Because even a simple material can become art if put in the right hands! What do you think?